My oldest son is 8 and just started the 3rd grade. He is a voracious reader, with a thirst for learning. This is a good thing. However, it also means that every time we go to the library, I'm having to decide if certain books are age appropriate for him. He particularly has wanted to read about history lately; specifically, World War II. While you would hope, perhaps, that J-level nonfiction wouldn't have anything too horrible in it, I never assume that to be the case. Besides, when you're reading about war, there will obviously be a lot of awful things that really happened. A lot of it depends on how it is dealt with in the book...which you can't get a feel for by simply reading the cover blurb. So, what it comes down to is that I get to read about these things, too! Some of these books I insist on reading first, and some we read out loud together. This has been helpful, so that I can either edit as we go (for the read-alouds) and/or discuss any particularly challenging parts. I'm sure there will be more of these posts as we go, as I try to keep up with his reading interests! 4 stars: Lots of action! During WWII, there was an air supply route developed across the Himalayan Mountains. This route was nicknamed "The Hump," and was one of the most dangerous of the war. Much of the danger came from the uncertain weather around the mountaintops---unexpected hurricanes, snowstorms, high winds, etc. However, the pilots also had to contend with aging and defective planes and surprise attacks from Japanese Zeroes. In fact, so many planes went down that the other nickname for the route was the "Aluminum Trail." Pilots said they could follow the route by the trail of wrecked airplanes down below. This is one I read first as a preview, since there was a good chance it would be too intense or too bloody for my boy. I'm happy to say that it was age appropriate. There were several stories of pilots and passengers parachuting out of crashing planes and encounters with possibly unfriendly villagers, but the stories end well. There was no cannibalism, prison camps, or torture. The people who survived often had to walk or bushwhack through the jungle to get back to a place where they could be picked up. There were some that were too injured or sick to make it back, and so others had to come rescue them. The rescue stories were some of my favorites. The book itself was laid out in a way that kept the action going. The chapters were short, with photographs and inset shorter stories scattered throughout. The stories themselves were broken up into even smaller chunks by bolded, highlighted headings. Every so often a quote, or the text of a written note, was indented and written in different type and color. After I had read it, I felt comfortable with him reading it on his own. We talked about some of the stories together afterword. 4 stars: Intense and well-written. Some parts could be too gory for sensitive or younger readers. The story of Lincoln's assassination and Seward's attempted assassination on the same night, told from several points-of-view, most notably John Wilkes Booth's and his fellow conspirators. Following that, is Booth's getaway, the search for him, and the eventual fatal shootout. 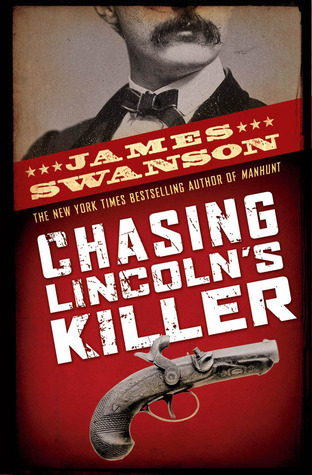 Based on Swanson's adult book Manhunt: The 12-Day Chase for Lincoln's Killer, which is now on my list of books to read. This book read like a thriller novel. Swanson used all kinds of source documents to tell the story blow-by-blow, then put some of it--like the actual assassination--in first person, from Booth's point of view. It also includes many photographs and pull-out boxes with more information. I read it out loud to my son, and I was glad I did, as there were some parts that I skipped over. In particular, the description of the assassination attempt on Seward got very intense and bloody. Swanson also vividly described Booth's bullet entering Lincoln's brain, and other gory details. Once Booth left town and the chase was on, it was still action-packed, but there wasn't the blood and gore like there was before. Then when we came to the final barn-burning (literally) standoff, it was right back to nail-biting tension. I liked how Swanson included all kinds of side material to make the people come alive. For instance, he talked briefly about the Lincoln's family life, he went into detail regarding Lincoln's final hours in the boardinghouse next to the theater, he gave background on Seward and his family, and so on. As the manhunt was going on, Swanson brought in broader historical context as well, so we learned how this affected common people, Southern rebel leaders, Lincoln's Cabinet, etc. At the end, we learned what happened to most of the major players. So, my 8-year-old tends to be on the sensitive side. I think this would have given him nightmares had he read it on his own. Reading it together (after my younger 2 were in bed), so I could edit as we went along worked fairly well--though I wish I had read the whole thing first, rather than tried to do it on the fly. We both really liked it and it definitely kept our attention throughout. I will be interested to see how the adult version compares. Content: Violence and some particularly bloody scenes. Recommended for ages 10+. I just recently finished Bomb: The Race to Build and Steal the most Dangerous Weapon (about the atomic bomb) and was so fascinating as well as feeling like a thriller novel even though it was YA nonfiction. It might be fun after reading these books. Oh, I remember that one! I read it awhile back and really liked it! We have really liked Jim Murphy's nonfiction, and also Nathan Hale's Hazardous Tales. 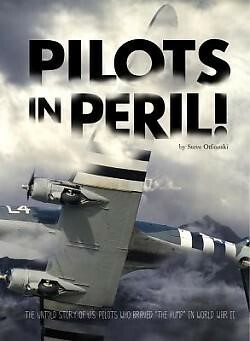 I'm excited to put Pilots in Peril on hold for my 8-year-old. I think he'll like it! Thanks for the tips! I'll look those up. It's hard to keep up with him sometimes!